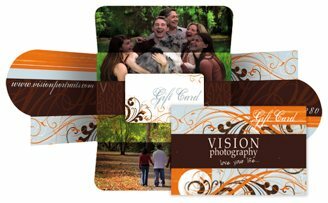 Photography gift cards are the BEST way to tempt clients and prospects to patronize your photography businesses. Why is our laminated photography gift card so much more effective than a coupon in motivating a buyer? 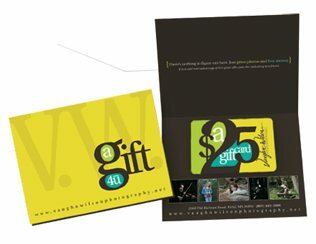 A photography gift card in your hand with lamination on both sides, makes you feel as though you are holding real money! That's why Marathon has created laminated photography gift cards with the size and feel of a credit card. Each card features your custom photography design and can be purchased in your choice of two package options to complete the promotion or choose from one of our photography design templates shown below. 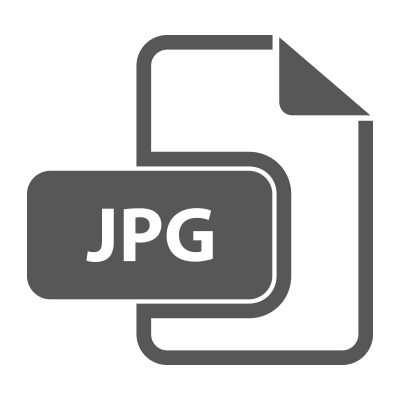 If you are planning on designing your piece yourself, we have blank Photoshop templates available for download in Login. Includes Photography Gift Card plus unique 6"x4" Press Printed Card Folder (full color both sides) printed on card stock and scored for easy folding. 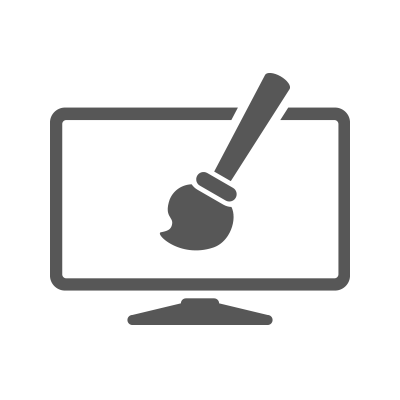 UV coating included on one side at no additional charge. 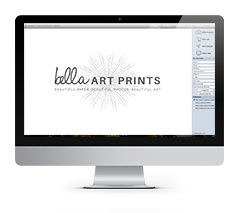 Includes photography Gift Card plus 4.125"x5.5" press printed folded notecard (full color both sides) printed on card stock and scored for easy folding. UV Coating included on one side at no additional charge. 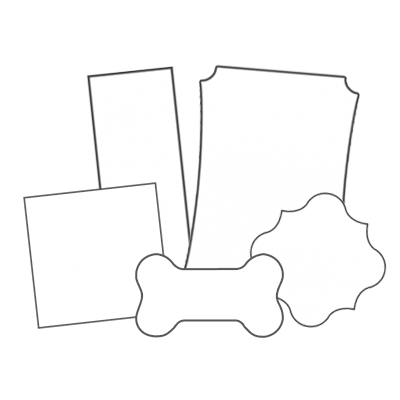 Envelope features black custom imprint at no additional charge.